Giving access to hand held technology to every pupil in the classroom. Parental contributions – or parental donatations – is a way of supplementing the IT spend within schools. It enables pupils of all ages to have their own iPad, Chromebook, laptop, tablet or other mobile learning device. A parental contribution scheme is easy to set up. 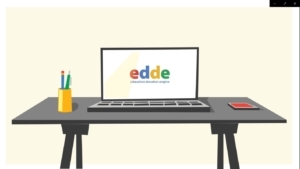 edde can provide advice, guidance and manage the scheme for you too. Ensuring that you do not have any additional administration burden. For more information on parental contribution schemes, get in touch with our highly knowledgeable edde team. Give us a call on 01494 611 465 or enquire online now! We can tailor and run a parental contribution scheme according to your school’s requirements. All administration needs are taken care by edde once the parental contribution is put in place. Implement digital learning in the classroom without a capital budget. Enabling all pupils to use the latest technology on the market whilst learning. Easy to use online portal for parents/guardians to manage payments etc. No large payment. Spread the cost of the digital device with small monthly payments. Ensures your child has the best and most up to date digital device to support their educational journey. Prepare your child for the future, by advancing their IT skill set. Can we buy the device without having to pay a monthly contribution? Yes, you can, we have a “buy outright option” which gives you the facility to pay up front without the need to undertake a monthly contribution. Can we keep the device at the end of the scheme? Yes, these schemes have been developed to allow you to keep the device at the end. Is there a reason why our school is asking us to contribute? We want to help provide a device which can be used effectively at school but is also a great computer for pupils to use at home, not only for school work! By the school brokering a large purchase of the device and associated package, we can offer the device to parents with a substantial saving. The school is contributing to the management and software provision of the devices, but does not have the resources to pay for all pupils to have their own device. We are acutely aware of the financial contribution we are requesting and have attempted to provide a number of payment methods and support for parents who would find such a purchase difficult. What happens if other people do not contribute this scheme? Most parents and guardians enter into the spirt of the agreement and either buy a device outright or contribute to the cost. However, there will be some parents who on principle will not agree to what we are doing and just do not contribute. Their children will still have access to a device. What happens if our circumstances change and we cannot afford the monthly contribution? Sometimes, people’s circumstances do change and hence cannot afford to make the contribution. In this instance, please contact the school or edde, our scheme administrator. It may be such that we can change the amount to be repaid or offer a payment holiday. Can we change our mind after entering the scheme? Once the scheme closes, all the devices are ordered, and we have an ongoing financial commitment that is being paid for by your contribution. You will not be able to then decide to opt out. Either our school or a leasing company owns the device for the duration of the contributions. As noted above, at the end of the scheme, title will transfer to you, the parent. How Can I Contribute to The Scheme? Upfront Contributions can be made by any credit/debit card. Monthly Contributions must be made by Direct Debit. Are the Parents Who Contribute to This Scheme Subsidising Those Who Can‘t or Won’t? No, parents only pay for their own device. However, in some instances we will look to collect a small additional donation to help fund the overall project. What Happens If My Child Leaves The School Before The End Of The Scheme? There would be no refund of received Contributions, however if the outstanding balance is cleared by the parent they will own the device. What About Parents Who Do Not Wish to Be Part of The Scheme? The Headteacher has deemed it necessary that all pupils within your son/daughter’s year should have equal access to a device. The school will provide a suitable device for use during school time only. What If I Have More Than One Child in The Scheme? Some discount will be available for parents with more than one child in the scheme, we will contact you directly as part of the roll-out process. If a Parent Does Not Take Part in The Scheme Will Their Child Be at a Disadvantage? No, we believe in bridging the digital divide and making this technology available to all children at our school. The school will provide a suitable device for use during school time only should a parent not take part.